For example, a car has potential energy while at rest. Another example is when a wrecking ball in being held in the air it has potential energy. Kinetic energy is energy of movement. It's a scalar quantity and doesn't have a direction. 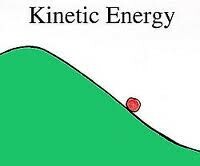 Kinetic energy is completely described by magnitude alone. For example, when you start moving the wrecking ball to tear down a building the wrecking ball has kinetic energy. 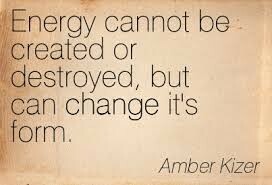 The Conversation of Energy states that energy can be neither created or destroyed.